I’m not too sure what to think about this film. I guess I have to see it to construct an authentic opinion. So far I can say that the CG looks good, Angelina Jolie looks awesome, and the feel of the movie seems uniform. I just haven’t really been jumping in my seat whenever the trailer pops up. The film unveils the history of Maleficent, the villain from the famed “Sleeping Beauty” story. As a kid, I remember her being one of the people I didn’t want to bump into on the street. Anyone pissed enough to curse a baby has to have the hardest freakin’ heart in the world. 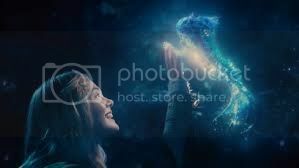 In this movie, that baby, Princess Aurora (adult, Elle Fanning), may actually hold the power that brings peace to the land. 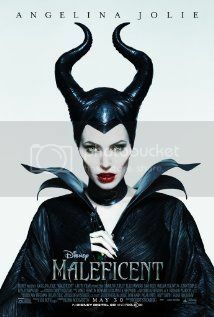 We will all see what Maleficent does when she discovers the truth in this tale. One cool thing about this film is that the Jolie-Pitt household is offering more aside from Angelina’s performance. Their children Vivienne (playing young Aurora), Pax and Zahara make appearances in the film. Furthermore, Linda Woolverton is one of the writers. Google this woman if you have no idea who she is; matter of fact, I’ll tell you. She constructed the screenplay for The Lion King, wrote episodes for the Garbage Pail Kids television series, did some awesomness (teleplays) on the original Teen Wolf TV Series, and planted an apple tree a few years back. Okay, I don’t know if the last part is true, but that doesn’t even matter because the rest is fact. All this talent comes under the direction of Robert Stromberg. I’m not sure if he has ever directed a film before, but his list of accomplishments runs longer than Forrest Gump in a fresh pair of Pumas. Mr. Stromberg reminds me of my aunt who has cooked everything perfectly for as long as I can remember. Even though she’s never made peanut butter cookies, I’m pretty sure she’ll excel at it. Still, I’m not sure what everyone else thinks about this film. Leave your comments below because I am curious about everyone’s perception and plan regarding seeing this movie this weekend. Don't forget to share this on TWITTER, FACEBOOK, GOOGLE + or where ever else you please! that I'm a little fatigued with famous actors throwing their kids in movies.